The new Chipping Repair Kit makes it easy and quick to restore chipping cases. What’s inside the Chipping Repair Kit? 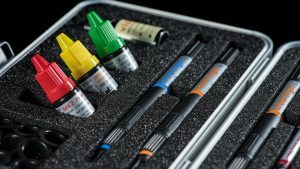 The Chipping Repair Kit powered by visio.lign is for intraoral and extraoral repair of chipping in the laboratory or surgery.